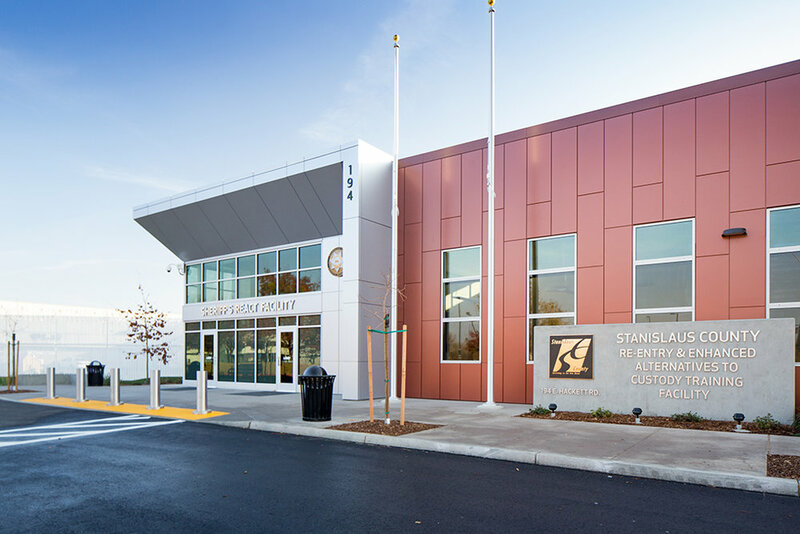 The REACT (Re-Entry and Enhanced Alternative to Custody Training) Center is a 51,000sf complex located within the 127 acre Stanislaus County Public Safety Center site. The REACT consists of 2 separate buildings connected by a courtyard. The buildings consist of a secure jail housing and less secure public administration building. The secure areas are CMU and tilt-up construction with less secure areas being more conventionally framed. 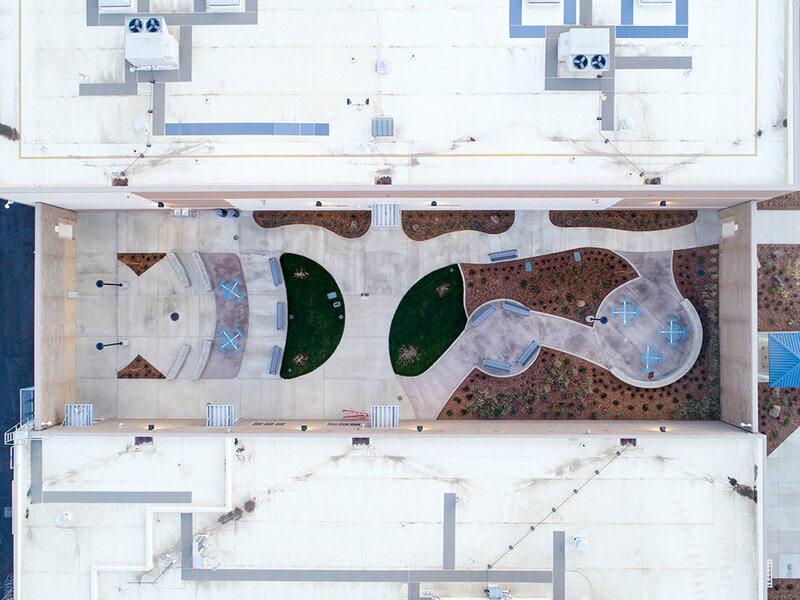 The REACT Center siting conforms to a neighborhood plan for the Public Safety Center and takes aesthetic cues from the Public Safety Center Administrative complex across the street, and the adjacent Day Reporting Center. This space is designed to be the desired destination for detainees. It has a more normalized environment, access to a variety of programs, outdoor areas, and a normalized space for family unification. 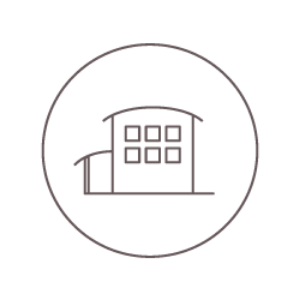 The Re-Entry building has generous outdoor program spaces available. The campus encourages a normalized environment. 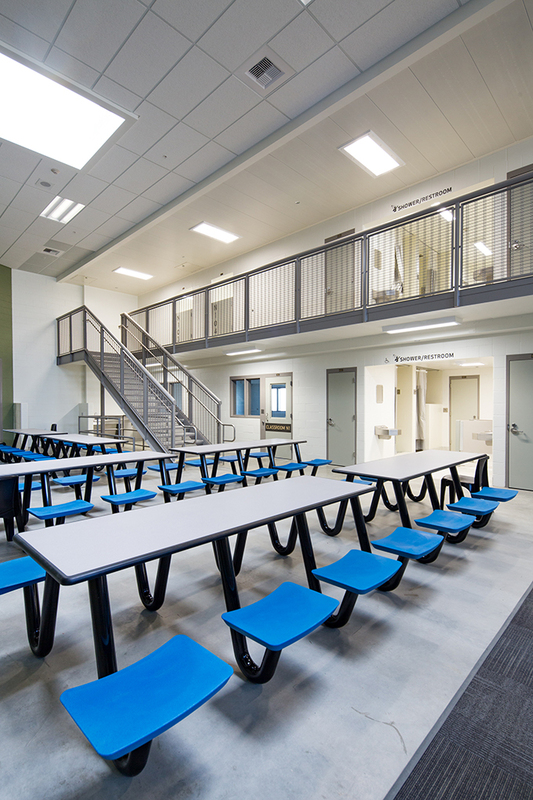 The family unification room allows inmates to see their loved ones in a non-detention setting. LDA Partners teamed with HOK to create schematic design and bridging documents for a Design Build Project Delivery, and remained on the project Team throughout Construction.